Does the simple thought of moving make you reconsider moving? If this is so, and you feel this way, we think it would be a good idea to enlist moving help, and there is no better removals company out there in terms of man and van service, price and staff than Man and Van Star. We have been operating for many years now, and believe that, with our expertise and resources, we can make your move to South East London easy and stress-free. We would like to tell you, before anything, that our company is built on customer recommendations. We started off as a small, humble company but now, thanks to our influx of customers, our business has developed rapidly and we are still continuing to develop. Currently, we are still that humble removals company, just with a much bigger clientele. If you like what you hear, and you think you would like to try us out, please get in touch as soon as you can on 020 8746 4391 and we’ll be glad to hear from you. In addition, you will receive a free moving quote. You can’t get better than that. South East London is the southern area of Eastern London in the United Kingdom. It consists of the following boroughs in London: Greenwich, Bexley, Bromley, Southwark and Lewisham. The total population of South East London is approximately 1.3 million. In total, there are about 500,000 jobs in this part of London as well. South East London is full of shops, cafes, restaurants and various places of interest. There is always something to do in this vibrant area. Our success, we believe, is down to our great staff. First of all, we boast the finest team of movers. Every single member of our moving team is highly dedicated in providing each and every customer with a great service. They have all been trained and each is highly experienced in this profession. However, they’re not just hardworking and skilled; they’re friendly and helpful too. We know that in many companies, the staff is usually its downfall, but at our removals company, our staff is our focal point. They never fail to impress us and the clients. We are also proud of our customer service team. Each member of the customer service is team is friendly, polite and extremely helpful. They are always ready to help and offer advice. Unlike many, our team knows what they are talking about and they give only the best information. You can count on them to provide you with decent information. Overall, we are a professional, dependable, flexible and friendly removals company that you can utterly rely on for your every moving need. You do not need to feel ashamed about enlisting help. Everyone, at some point or another, needs help. You are no different. You see, we fully understand that moving is not easy. It takes time, energy, money and a lot of dedication. What we do know is that many of you simply don’t have the time to devote to moving and we fully respect that. This is why we would like, more than anything, to help you out. Under the stress, you can end up making a lot of mistakes with your move and this will only pile on the pressure. 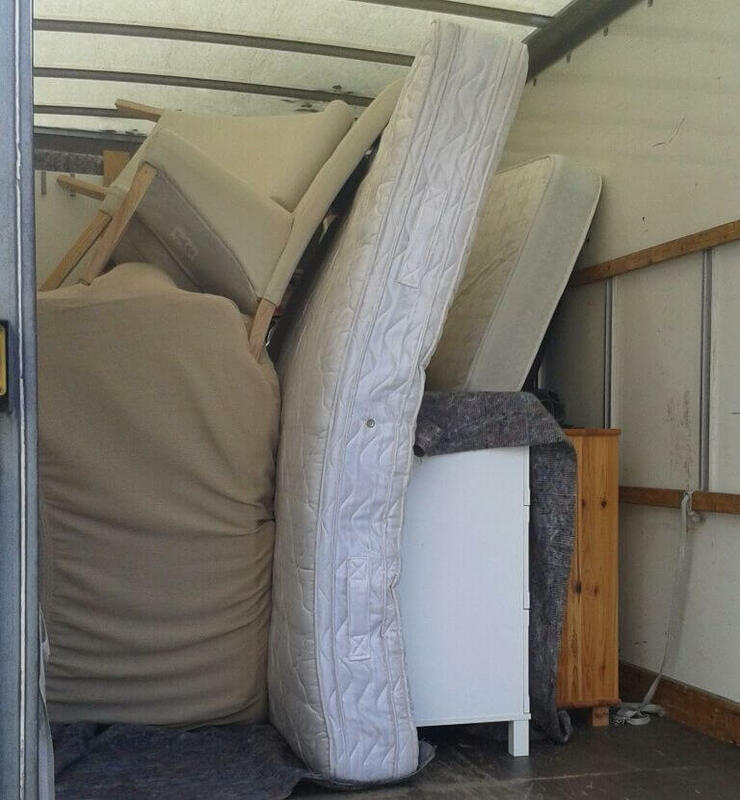 You can easily avoid this if you hire a professional removal company like Man and Van Star. We know what we are doing and we do it well. Give us a call today if you would like further details on our service or on our prices. The number to call is 020 8746 4391. We look forward to hearing from you.